Purple Essentials - Natural Skin Care for a pure and simple life! : Just opened, a bottle of Liquid Sunshine! Just opened, a bottle of Liquid Sunshine! We just received a bottle of organic Sweet Orange Essential oil, fresh from Italy!!! And I am enjoying it so much that I wanted to share my thrill with you. Sweet orange oil has a Sunny-Fresh, Sparkling-Citrus scent! If you close you eyes and inhale it's aroma, you can't help but experience an instant cheerful feeling (works every time). This pure essential oil is cold pressed from the peels of ORGANIC ripe oranges that have grown (pesticide free) in mineral rich soil, under blue sunny skies. 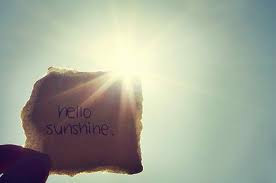 Opening a bottle of Sweet Orange essential oil is like taking the lid off of a bottle of “fresh liquid SUNSHINE”! Wow!! Sweetly citrus and tangy, yet not over powering. It is a warm and comforting scent… imagine 100+ freshly peeled oranges right in front of you. This UPLIFTING essential oil is incredibly useful and widely utilized in aromatherapy to treat stress with its soothing properties for depression and anxiety, along with easing digestive upsets, it acts as an anti-inflammatory, aphrodisiac, and disinfectant with immune supporting qualities. 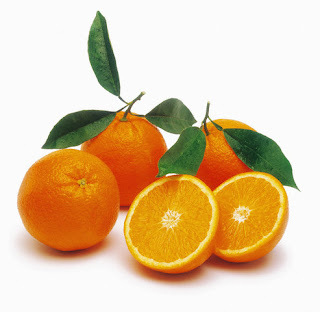 Sweet Orange essential oil is a very effective anti-aging oil as it contains active properties that help to promote collagen production, detoxify and increase the circulation to the skin's surface, which can help to improve tone and texture, making skin appear and act more youthful and healthy. Purple Essentials uses this therapeutic grade, Sweet Orange essential oil in a number of our Fresh & Natural, aromatherapy based products, from our Mango Body Butter, Orange & Rosemary Cleanser and Hand-Crafted Soaps, to our Comfort and Inspire Soy Wax Candles, as it is loaded with natural Vitamin C, antioxidants and aromatherapy benefits. Mark your calendars - and if you haven't already - go to our "Follow Us Gift" post here, to receive your $5 off code (follow the instructions).